A round bale grabber is useable for picking up and transporting round bales. 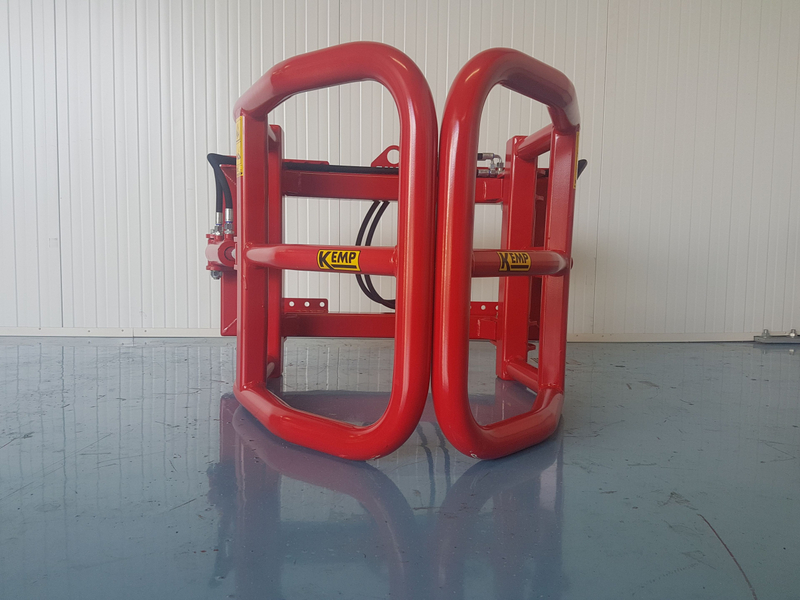 The clamping brackets are bent into the radius of the bale, so that the round bales can be clamped on the entire surface, which results is no damage to the foil. A light round bale grabber for use with mini-loader and light tractors. Due to the slotted hole, where the cylinders are attached to, it is easy to grab a bale. Due to the fact that these cylinders are positioned on the outside, the results is a minimum force, and wear at the pivot point. The clamping range is Ø 700 - 1.400 mm, max. open 1.600 mm. 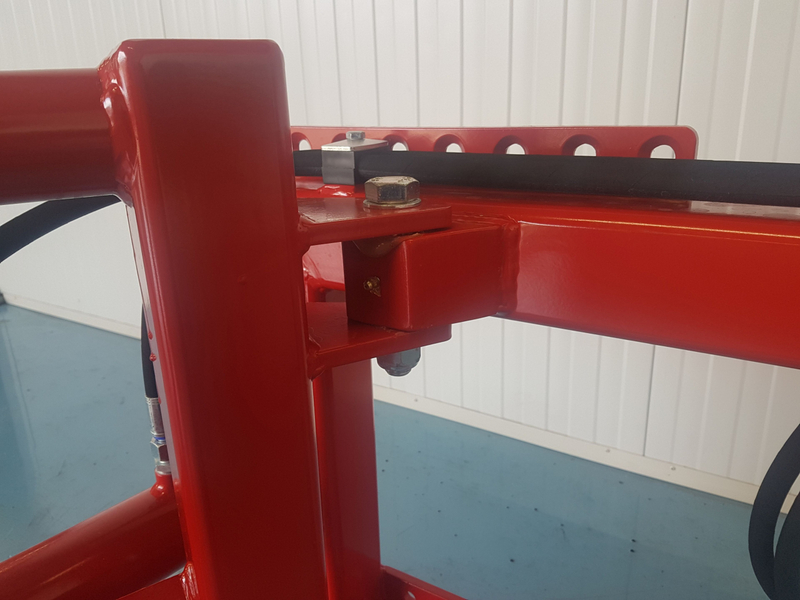 The thickness of the clamping brackets is 5 mm. 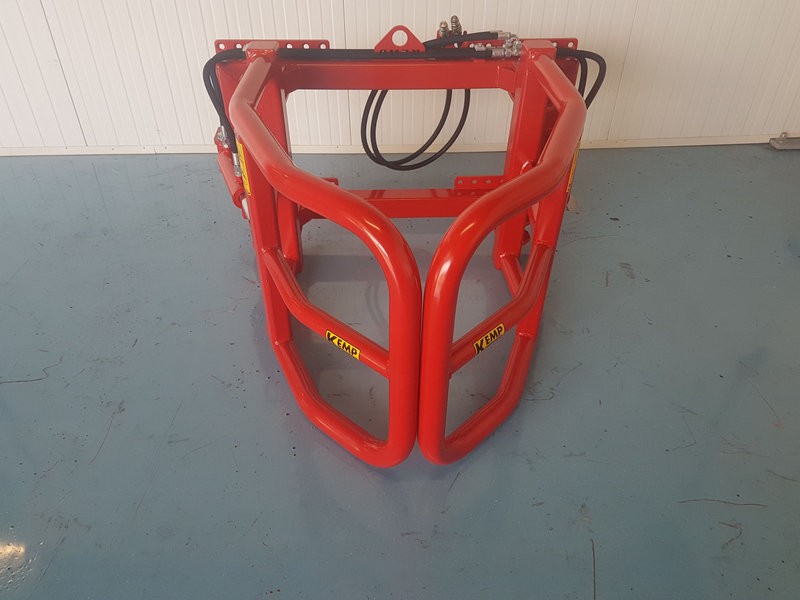 The round bale grabber is suitable for bales up to 1.100 kg. 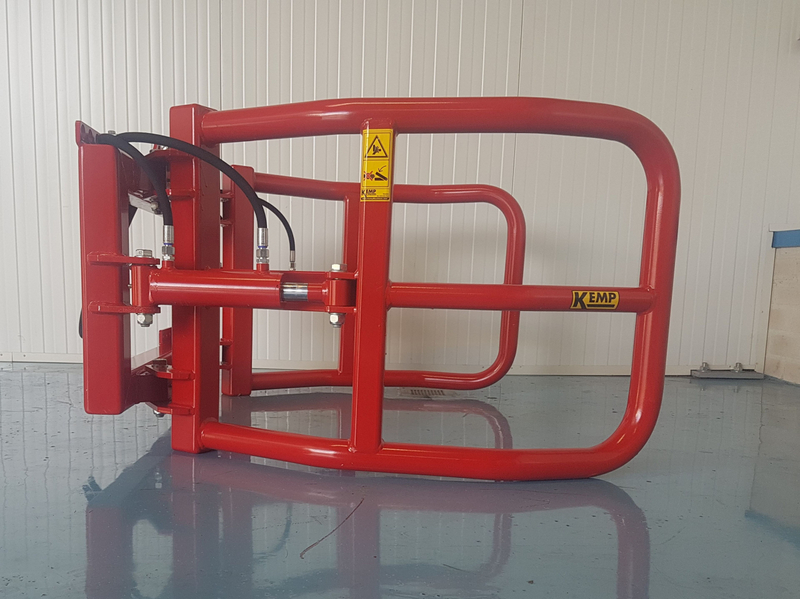 The weight of the bale clamp is 170 kg. 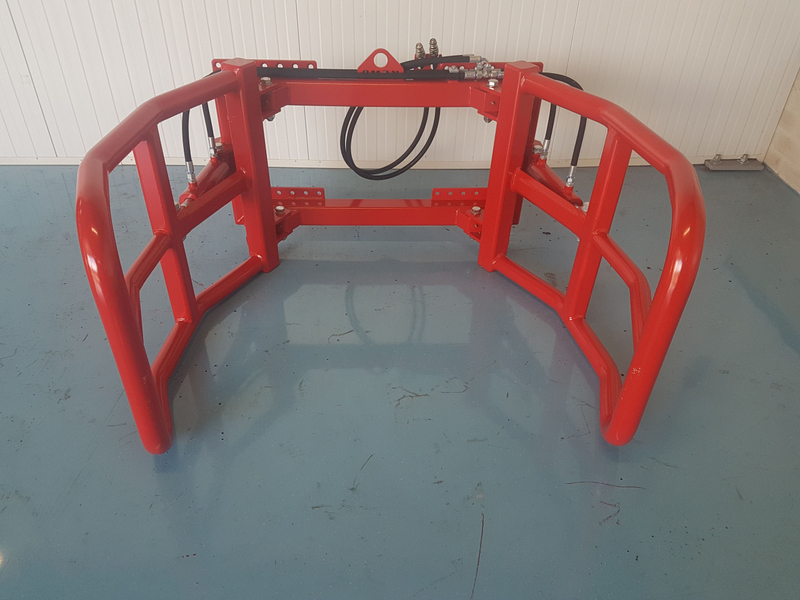 The bale clamp can be used on several vehicles, for all mounting parts see the document: Kemp attachment parts. Pilot operating non return valve: needed at open centre and internal leakage control valve. Duo to the open centre, the oil can’t be blocked and the clamp can’t stay in one position. 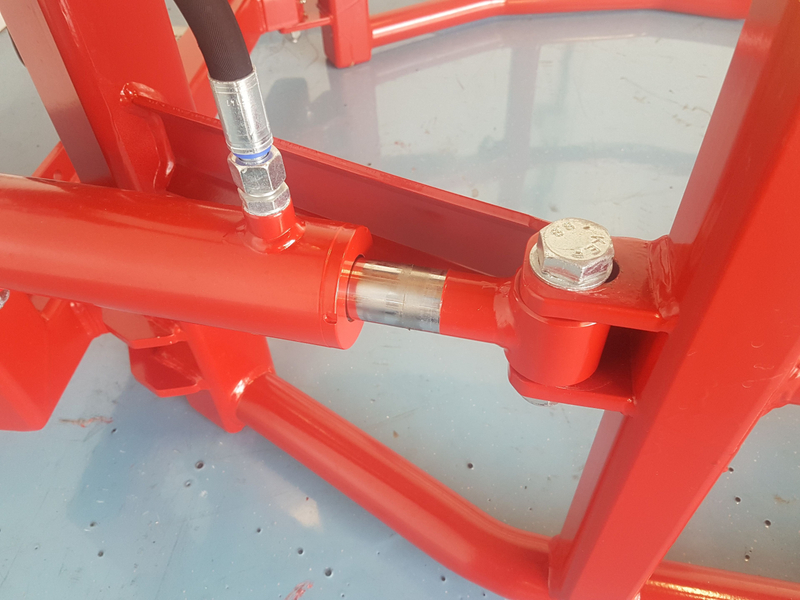 The pilot operating non return valve, takes over this function by blocking the oil flow, allowing the bale clamp to stay in one position.